James E. Coonley started the practice of law in Hampton, Iowa in June of 1934. James was a “cookbook” lawyer, as he never attended college and was allowed to take the bar examination after studying law with local attorney Henry Uhlenhopp, the father of Harvey Uhlenhopp, who later became a justice on the Iowa Supreme Court. James was elected county attorney in Franklin County and became well known as the prosecutor in the case of State vs. Townsend which established the use of a blood test (the basis for later use of the breath test) to convict a drunken driver. 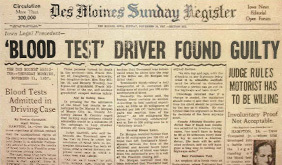 The so called “father of the blood test” was widely recognized for this achievement and was awarded the Iowa Commissioner’s Award of Excellence in Traffic Safety for his contributions. During his legal career James was also involved in banking and abstracting. 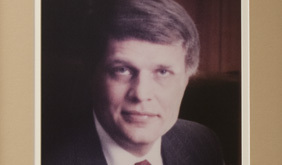 James E. Coonley II joined the practice after graduation from the University of Iowa law school in 1964 and the name of the firm was made Coonley & Coonley. 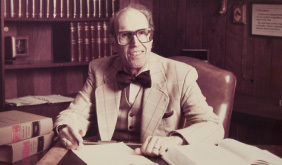 James was involved in most areas of law practice, but had special emphasis on farm corporations, estate and succession planning for farm families and trial work. During his legal career James was involved in banking and long-term health care. James’s practice was cut short by his untimely death in 1994. John E. Coonley, a graduate of Arizona State University law school joined the firm in 1982 doing work mostly related to wills, trusts, estate tax planning, probate, real estate, corporations, limited liability companies and business transactions. John is also involved in banking and abstracting. James E. Coonley and John E. Coonley continued to practice together as Coonley & Coonley after the death of James E. Coonley II until James passed in 2003, at age 93. John E. Coonley continues to practice as a solo practitioner. 2019 Copyright. Coonley & Coonley. All Rights Reserved.